Your dental health is vital to not only your own personal wellness, but also to your overall well-being. 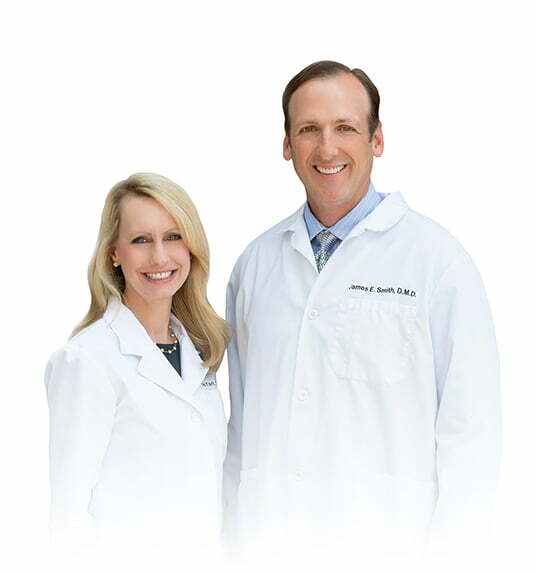 When it comes to patient-centric dental care in Raleigh, North Carolina, Dr. Smith and Dr. Tart have created a patient-centric approach to dental care that focuses on you, the patient, before anything else. In 2018, Triangle Dentistry’s Dr. Smith and Dr. Tart published the book Sharing Smiles: Our Approach to Patient-Centric Care. In their book, they discuss the dental practice’s approach to dentistry, as well as how to achieve optimal oral health. In Sharing Smiles, you’ll learn about what sets Triangle Dentistry apart, and how they’ve created a unique environment that is focused on a comfortable, relaxed experience. Sharing Smiles talks about the patient-centric care approach that is practiced at Triangle Dentistry, and how this sets them apart from other providers. The book also discusses: “Dentistry from the Heart”, how to care for your smile during every stage of your life, how consistent oral care improves your overall health, the real costs of not seeing your dentist, and more. When it comes to achieving optimal oral health, you’ll need a full spectrum approach. In Sharing Smiles, you’ll learn how to best care for your smile at every stage of life, and how your smile improves your overall health, increases your self-confidence, reduces your risk of disease, and unlocks your full potential. Sharing Smiles: Our Approach to Patient-Centric Care can be purchased at Barnes and Noble and Amazon. Dr. Smith is from Mississippi, and received his Bachelor’s Degree and Doctorate from the University of Mississippi. After graduation, Dr. Smith accepted a residency position at the University of North Carolina Hospital in Chapel Hill, where he received advanced training in general dentistry and hospital dentistry. He served as Chief Resident in the Division of Oral Medicine in 1994 and was responsible for both inpatient and outpatient care. Dr. Smith received a 1993 Award in Research Achievement from Quintessence magazine. Dr. Smith is a member of the American Dental Association, North Carolina Dental Society, and the Raleigh-Wake County Dental Society. He is a past President of the North Carolina Academy of General Dentistry and currently serves as an examiner for the Council of Interstate Testing Agencies. Dr. Tart is from North Carolina, and attended the University of North Carolina at Chapel Hill and graduated with a Bachelor’s Degree in Dental Hygiene in 1998. She graduated with her DDS degree and distinction in 2003. Dr. Tart is currently active in the American Dental Association and the Academy of General Dentistry. She has served as editor, membership chair, a district representative, and vice-president of the NCAGD. Her past research focused on esthetic bleaching and the treatment of dental unit waterlines. She has presented her research nationwide with the International Association of Dental Research, American Dental Association, and local dental schools. Dr. Tart was honored with both the Turner Award and ADA/Dentsply Award in recognition of her work and has been published numerous times. She was also an adjunct assistant professor at the UNC School of Dentistry. Triangle Dentistry, located in Raleigh, NC, provides a state-of-the-art facility that offers exceptional general dental and specialty services guided by empathy of a patient’s needs and desires. Services range from dental crowns to veneers, and whitening procedures. For further information, questions, or to schedule an appointment, contact the office at (919) 747-3608.